The science behind the Jurassic Park films always seemed far-fetched, even before the latest instalment, Jurassic World, introduced the idea of genetically engineered super-dinosaurs. For one thing, finding mosquitoes that had drunk the blood of dinosaurs and then been preserved in amber for hundreds of millions of years is incredibly unlikely. But there’s another more important reason: organic molecules such as proteins and DNA degrade fast after a creature’s death. They are almost never found preserved in bones older than a few thousand years. This has been the dogma for many years. In the case of dinosaur feathers and skin cellular preservation, sites like the Jehol Biota fossil deposit of western China (where rocks are around 120m years old), have proved important because animals are preserved in incredible detail in a fine-grained laminated sediment. A new study by Sergio Bertazzo and colleagues, most based at Imperial College in London, looks set to change this perception. It suggests preservation of organic remains might be much more common that has always been assumed. Just your average dinosaur bone. 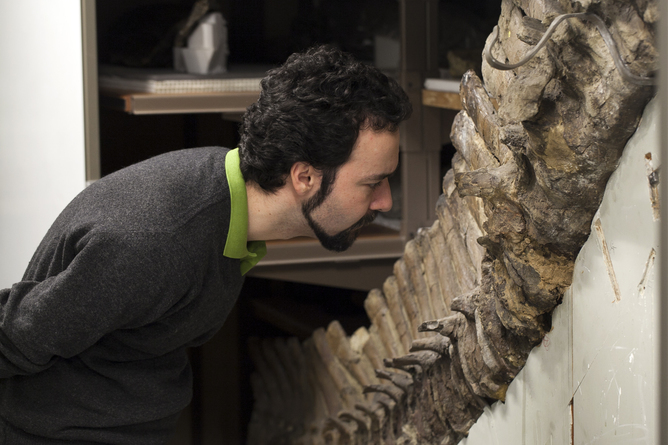 Bertazzo’s team studied a series of Canadian dinosaur bones, all about 80m years old, using state-of-the-art analytical techniques to examine the surfaces and internal composition of the fossils at very small scales. 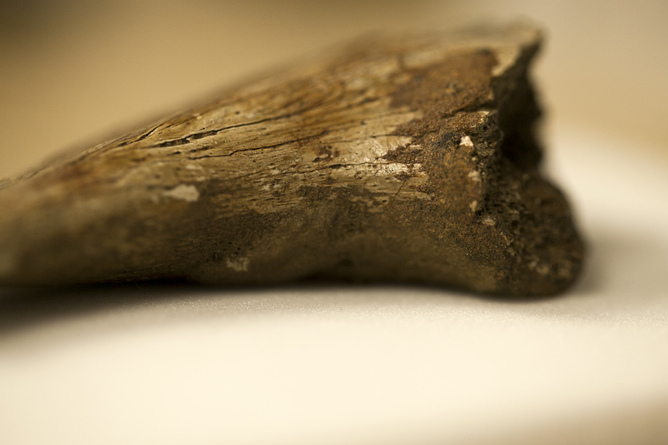 Intriguingly, not all of the team’s dinosaur bones were exceptionally preserved. They were just ordinary chunks of bone, the kind very often collected by palaeontologists from Mesozoic-era (the period when dinosaurs lived) sites around the world. 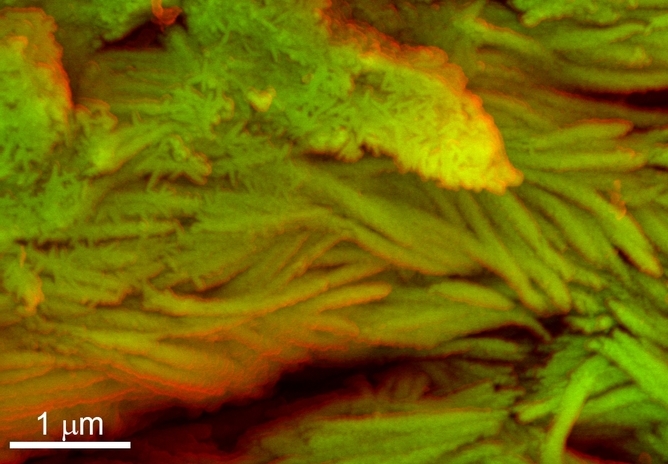 The researchers analysed the fossils at the nanoscale, using an electron microscope to reveal details smaller than can be seen with light, and a mass spectrometer to analyse their chemical composition. The study identified clear structures in the fossils that were consistent with the preservation of original bone collagen, the protein component of all vertebrate bones. Unfortunately, it doesn’t make a Jurassic Park-style theme park any more feasible because the DNA in the cells had still degraded. But at least we have more information about cell shapes and the preservation of proteins that make up bones. Gareth Dyke is Palaeontologist at University of Southampton.